Pongslaught is a visually stunning arcade game blending elements of classic shmup games with the grandfather of all video games: pong. The result is a fun action-packed journey that gets more intense as you play it. Experience the action of the 80s the way it was intended. Move the mouse left or right to control the ship. Weapons fire automatically when you pick one up, and holding still with a powerup provides a more potent effect. 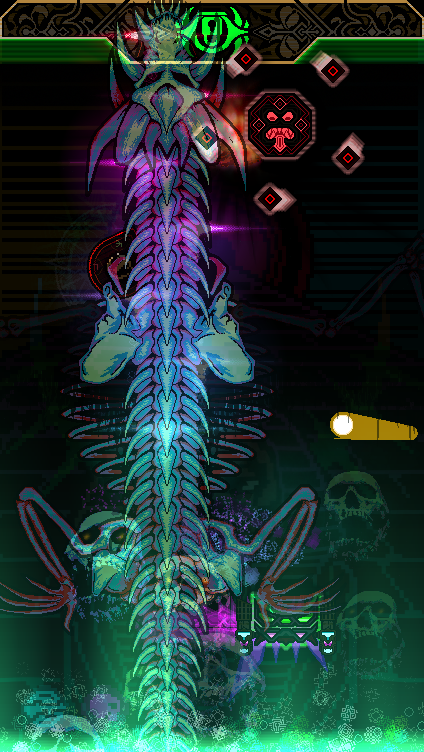 This game uses bright flashing colors that may be a problem for some players, play/view at your own discretion. Unzip the two files, run the executable.